Tourist tax Gîtes : 0.95€ / adult over 18 years/ per night. Arrivals and Departures every day. Reception open every day from 9h to 12h and from 14h to 19h. Coming from Lyon / Clermont Ferrand or Paris: Take the direction "Toulouse" and take exit 51. At the traffic light turn left then follow the direction "Lac du Causse"
In "Lissac", at the roundabout, turn right towards "Saint-Cernin" and continue about 700m on this road. 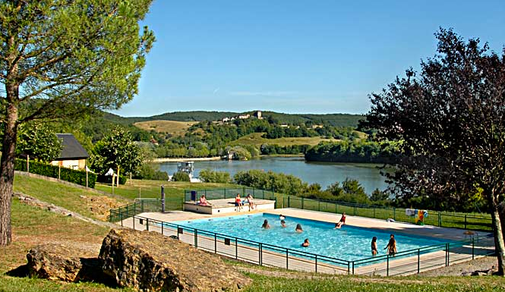 Then take the road that goes down on your left direction "center of tourism Causse Corrézien"
Watersports base offering: Sailing, Paddle, windsurfing etc. Rental of equipment and courses. Free fun activities on the campsite and on the beach in July and August. Brive La Gaillarde, with all facilities and its vibrant market at about 10 minutes.